Your sales history for a particular customer can be easily accessed via the Address Book. Use the Accounts Summary link to see a detailed history. 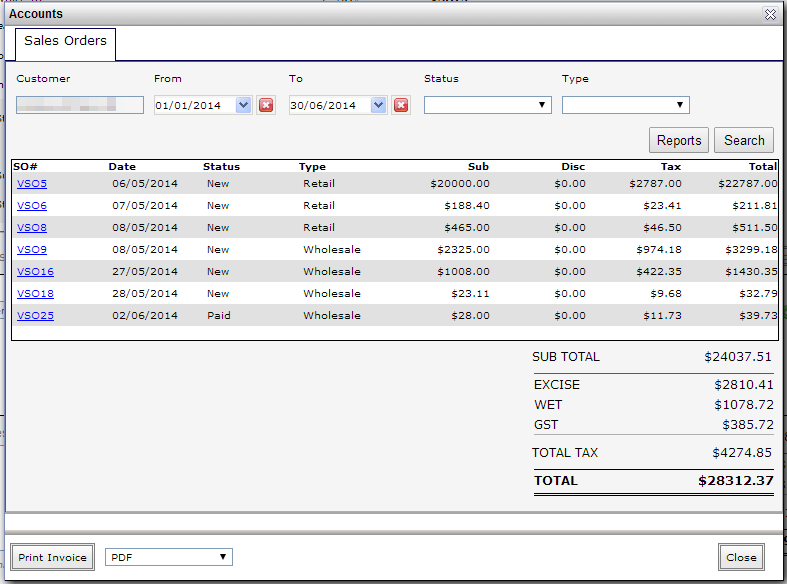 You can also access the Accounts Summary via a Sales order. 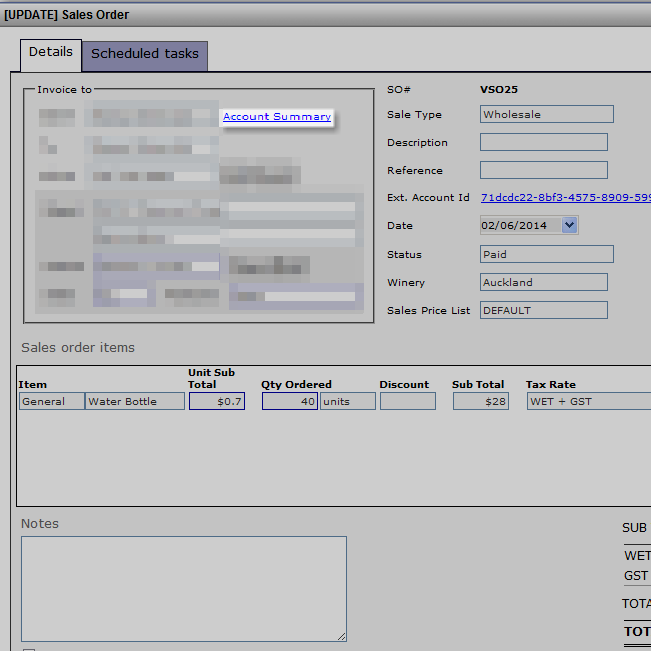 From here, you can search for additional Sales Orders within a date range or Sale Type or a particular Status. 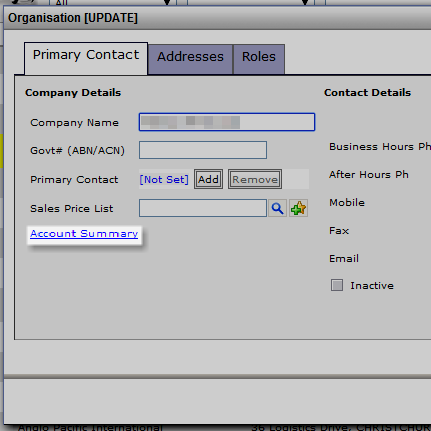 There is a Reports button that will navigate you to the Sales Order reports using the same search criteria. You can also print or reprint invoices using Print Invoice. There is an additional report that will allow you to view the details of a customer's Sales history. Head into Reports > Sales > Sales Report. You may set a variety of filters but the Detailed option will display the detailed sales history for all sales that are included in the filtered list.